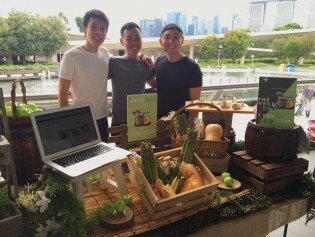 To tackle food waste, Nicholas Lim did not simply spread the word among his friends and family. In an experiment to see if he could make a viable business out of the problem, he co-founded an online platform that allows individuals, eateries and voluntary welfare organisations to order discounted groceries that would otherwise be thrown away. A regional agreement on managing transboundary haze caused by fires raging in Indonesia’s forests and peatlands appears all but buried in the embers of frustration of its neighbouring countries. With over 20,000 international participants, a triple summit wrapping up today in Singapore is generating an abundance of ideas on sustainable cities. For the second year in a row, the world is spending a little less on the military. Asia, however, has failed to get the memo. The region is spending more at a time when many others are spending less. In June, Singapore, Malaysia and Indonesia were enveloped in haze as hundreds of forest fires burned across the island of Sumatra, in the worst pollution crisis to hit Southeast Asia in more than a decade. With a propensity to devour everything in their path and spiral quickly out of control, leaving behind swathes of scorched earth, forest fires are considered a hazard in most parts of the world. In Indonesia, however, fires are the preferred method for clearing large areas of land for massive plantations of commercial crops. The play opens with a man and his mother waiting impatiently at the dining table in the family home. A woman rushes in after a busy day at the office with takeaway dinner packets, followed by her son and daughter who walk in expecting their mother to serve them a meal. Indonesia's forest fires, a predictable annual ritual, will continue to have serious implications for health and the environment in Southeast Asia unless the government strengthens forest protection, warn environmental groups. Top U.S. companies are now in negotiations to agree on new safety standards for their clothing-producing contractors in Bangladesh, a month after a garment factory’s collapse in Dhaka killed more than 1,100 workers. The crash of a million-dollar Ferrari driven at high speed by a wealthy Chinese expatriate in the early hours of a weekend morning earlier this month has reignited the stormy immigration debate here, highlighting many Singaporeans’ resentment towards foreigners living and working in this small island nation.